Another Great Night With Juston McKinney! On May 4th the New Hampshire Law Enforcement Officers’ Memorial Association will have another night filled with laughs and entertainment with Juston McKinney as he returns to the Capital City! By purchasing a ticket via email through this website or from an Association committee member, you will receive a ticket to Juston’s comedy show, as well as a ticket to our pre-show party with food catered by O’s Steak & Seafood at The Hotel Concord. Join us for fun, food, cash bar, raffle prizes and silent auction items, then we will all head over to the Capital Center for the Arts for a comedy show you won’t forget! This year’s event is expected to be sold out so order your tickets today! All proceeds from this event will directly benefit the NH Law Enforcement Officers’ Memorial Association. Cash, check and all major credit cards will be accepted for the purchase of event tickets, raffle tickets and silent auction items. Both venues are 2 blocks, or a 5 minute walk apart. Parking is available on Main Street or at Storrs Street Garage, 75 Storrs Street, Concord, NH. $60.00 per ticket which includes entrance to both the pre-show party & the comedy show. Cost does not include parking. On May 17, 2019 the Association will again hold the annual ceremony to honor those NH officers who have died in the line of duty! Please join us in celebrating their life and sacrifice! Get Your Raffle Ticket Now! In addition to our comedy fundraiser event with Juston McKinny in May, the Association is selling raffle tickets for $10 for a chance to win a new handgun. See an Association committee member or contact us via email at info@NHLawEnforcementMemorial.com to purchase a raffle ticket. Tickets are available now through a NH Law Enforcement Memorial Association Committee Member, or by calling Lisa LaChapelle (603) 271-3128. Ticket cost is $60.00 and includes access to the comedy show, as well as the silent auction, raffle and pre-show welcome ceremony. NHLEOMA is proud to recommend the following fine restaurants and hotels, all of whom support the Capital Center for the Arts through our corporate membership program. We encourage you to patronize these establishments and thank them for their support of the Capitol Center for the Arts. 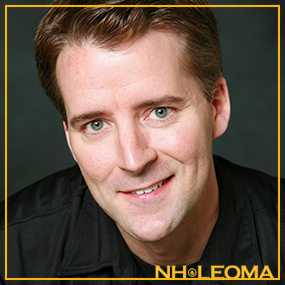 The New Hampshire Law Enforcement Officers’ Memorial Association is extremely thankful, as well as pleased, to announce the return of one of New England’s funniest comedians, entertainers, police veteran and NHLEOMA supporter, Juston McKinney. Members from every police department and every branch of military service attend this annual event as a signal of allegiance and appreciation for our lost heroes. The 2019 Memorial Ceremony was held on May 17, 2019.